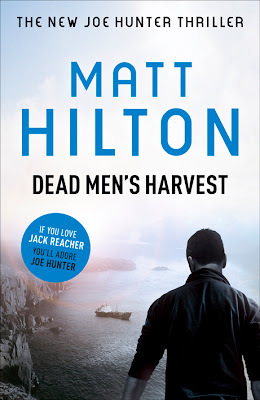 Dead Men's Harvest - Joe Hunter 6 - is only a little over a week from hard back publication on 18th August 2011 by Hodder and Stoughton. I will be officially launching the book on Saturday 20th August at Waterstone's Carlisle branch, Scotch Street, Carlisle, Cumbria, UK at 11:00 am if anyone can make it along (I'll be in store for five hours so plenty time). This is your opportunity to have your books personalised.